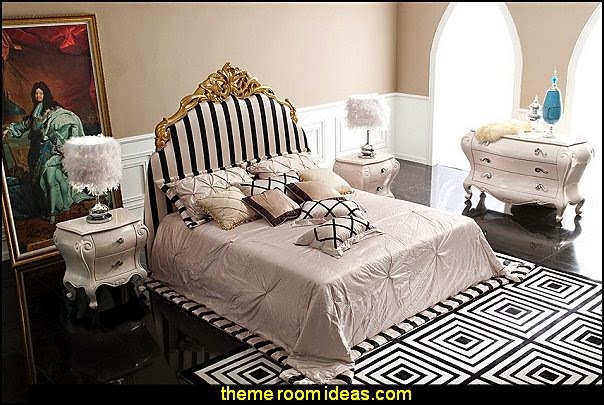 Luxury bedrooms with inspiring ideas to help transform your own bedroom into a royal chamber, with a little creativity and a fair bit of money! 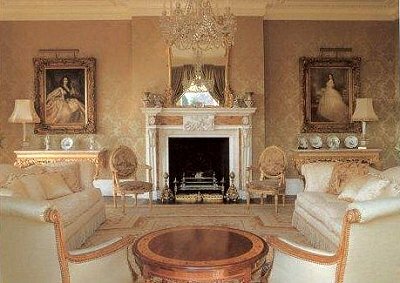 Why settle for bland .... when you can have GRAND!! 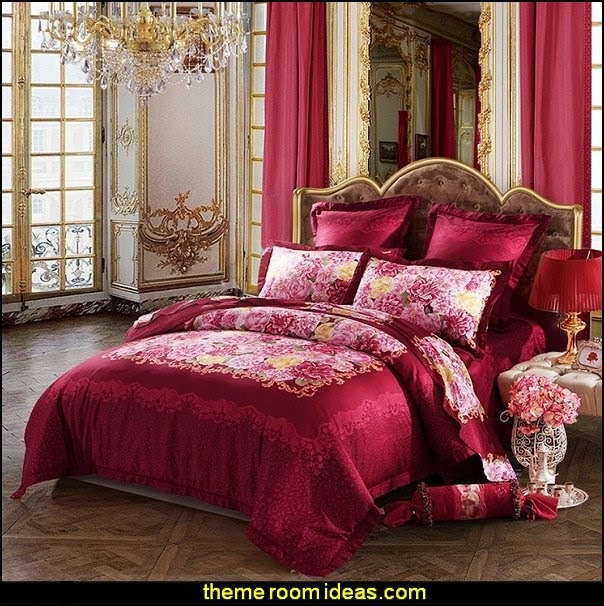 Inspired by French Rococo antiques found in the grand salons of Paris. 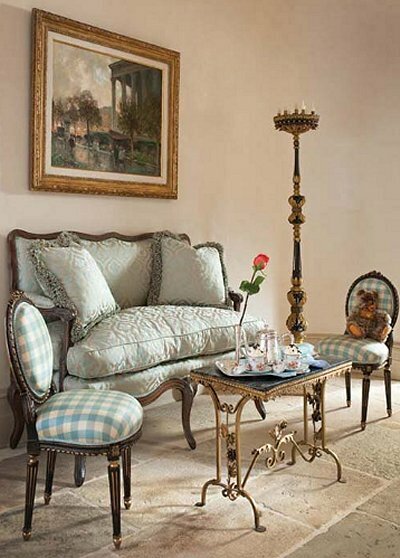 Sculpted roses and griffins spring forth from this replica 17th century antique destined to become a striking centerpiece of your home. 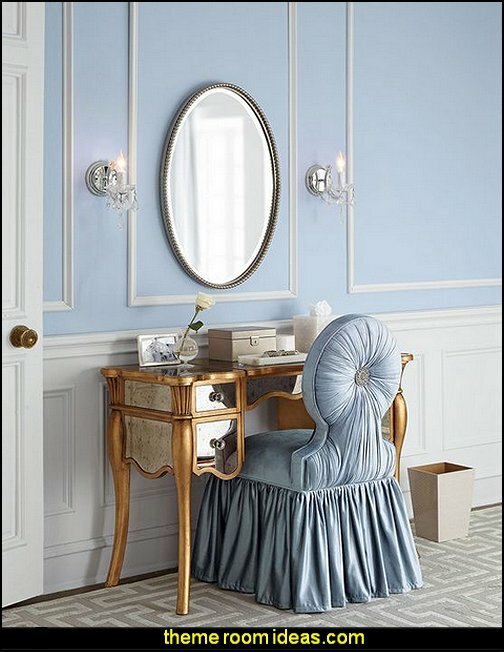 Designed to anchor safely to a wall, the stately, almost yard-tall console is topped with a beautiful, quality faux marble top. 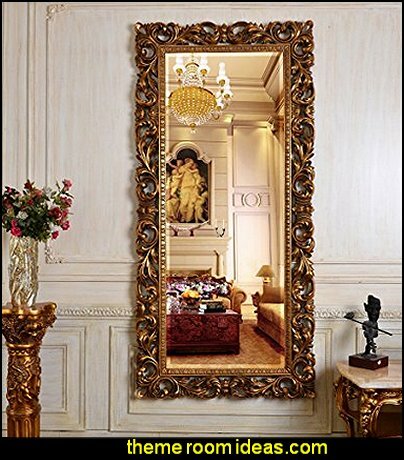 The generously sized, companion salon mirror sparkles to reflect its own ornate, beribboned sculpt. 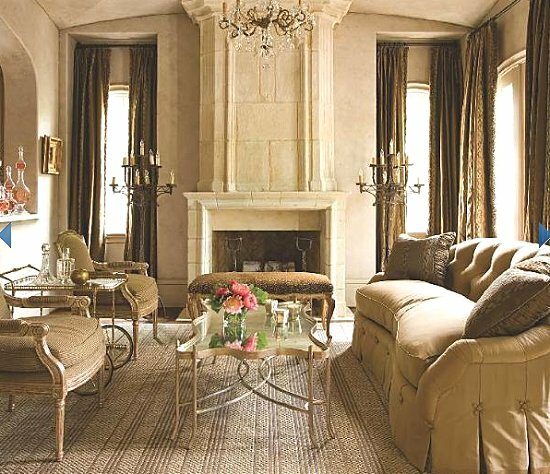 Beautifully paired in a stylish entryway, both grand scale pieces are cast in quality designer resin and finished in faux antique gold as an investment in European style. 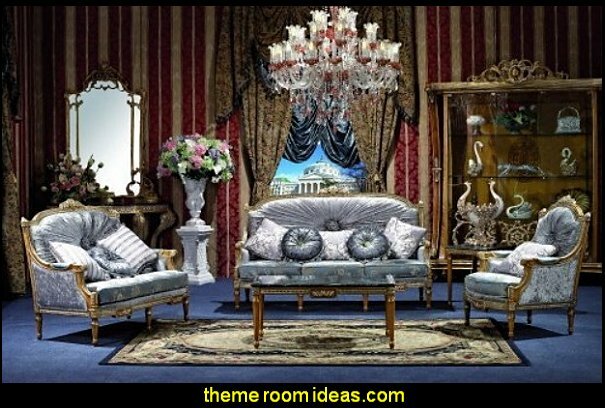 Furniture for a Marie Antoinette themed bedroom. 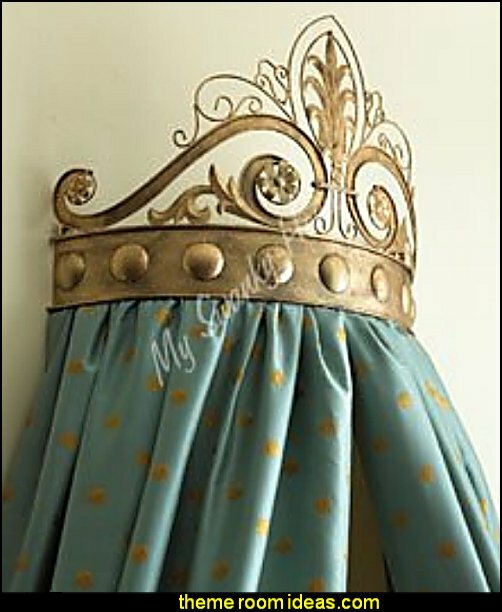 This gorgeous bed crown will make any bedroom worthy of a palace! 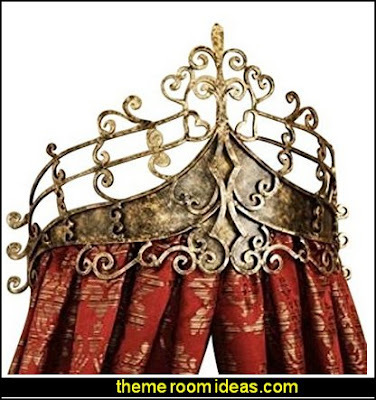 Bed crowns such as these were used in period mansions to add drama to a room. repainted it to make it brighter, used gold spray paint, acrylic gold paint, and an acrylic spray topcoat. 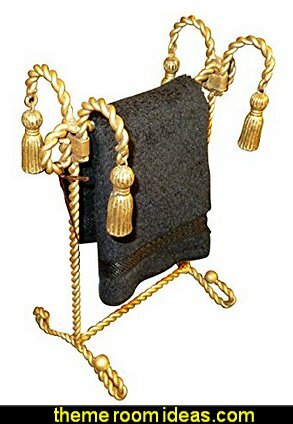 Twisted rope trim and detailed iron tassels give a luxe period look. 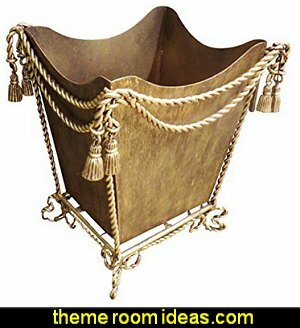 With its romantic Victorian design, our swag and tassel wastebasket is a practical accent piece. 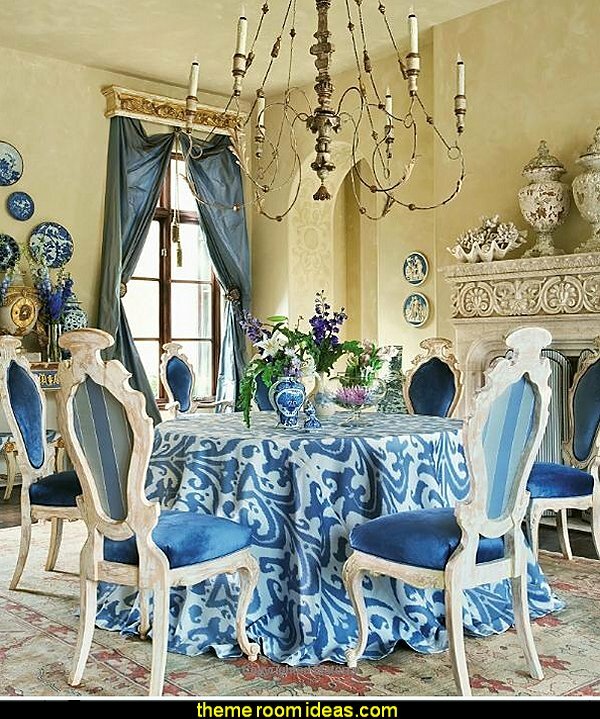 Twisted rope trim and detailed iron tassles give a luxe period look. 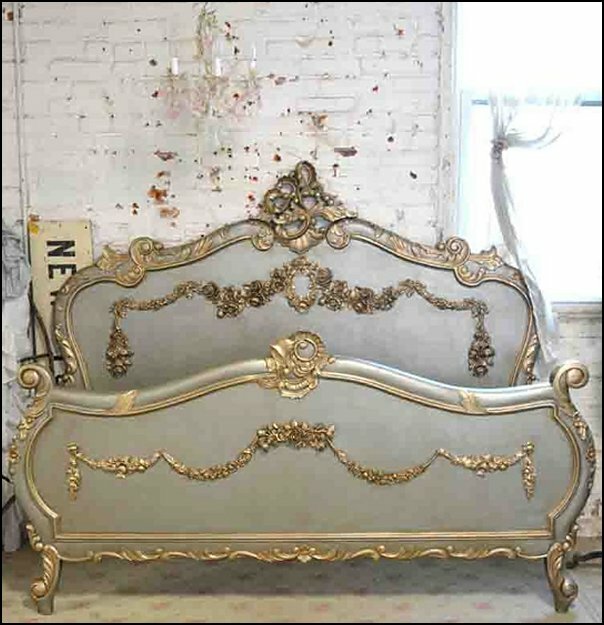 Hand finished in antiqued gold with brass and bronze highlights. 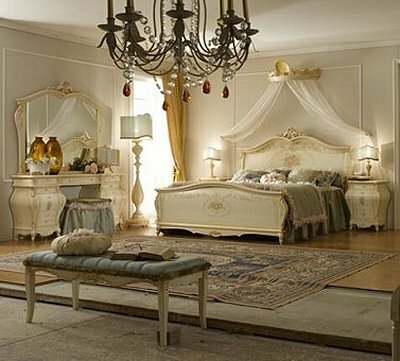 Simply breath taking! 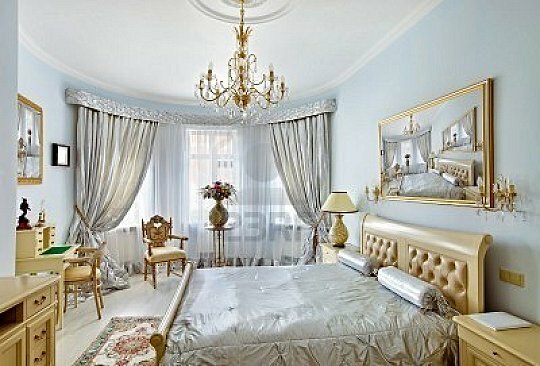 regal & beautiful, Julia goes above & beyond to make sure it is perfect & you are happy. 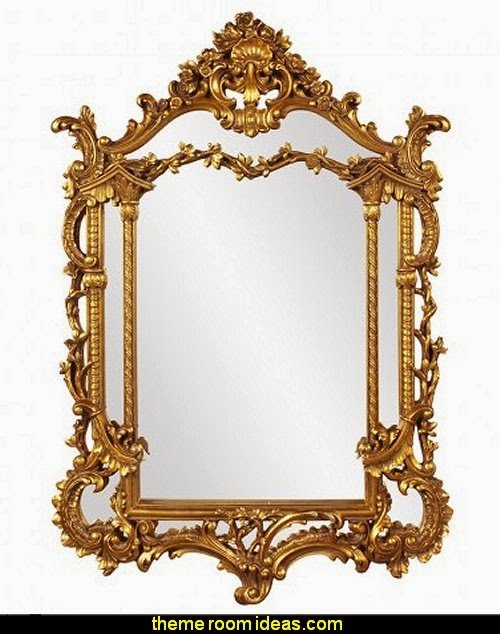 Bring a burst of baroque brilliance to any wall in your well-appointed home with this antique-inspired accent mirror! 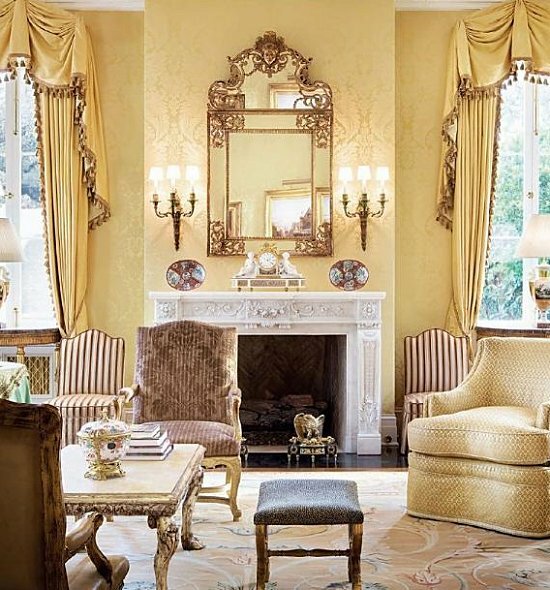 Crafted of resin in a gold leaf finish, the crown-arched frame is festooned with all manner of filigree, scrollwork, and acanthus carvings, while the four glass mirror panels within feature flat, non-beveled edges for a vivid reflection, letting light bounce off to expand your space. 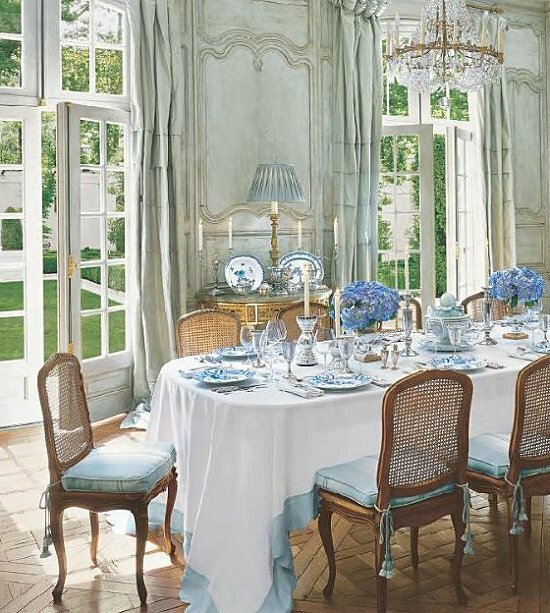 Adopt a stylish French accent with this right-sized spot for a favorite sculpture or showy potted plant. Replicated from the highly sought after Louis XVI Quridon tables of the late 18th century, this ornamental work with elegant Baroque arch is cast in quality designer resin with a faux marble top and gold gilding. 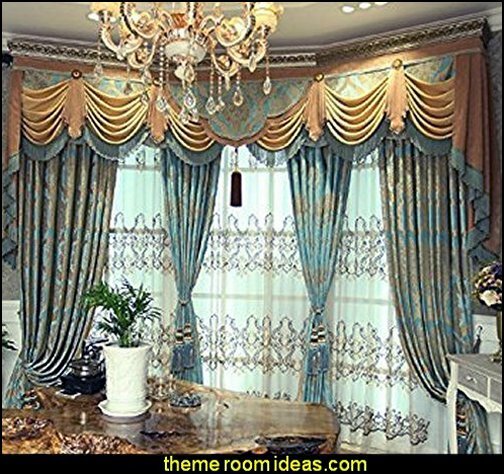 Imagine a pair flanking an entry or grand staircase! 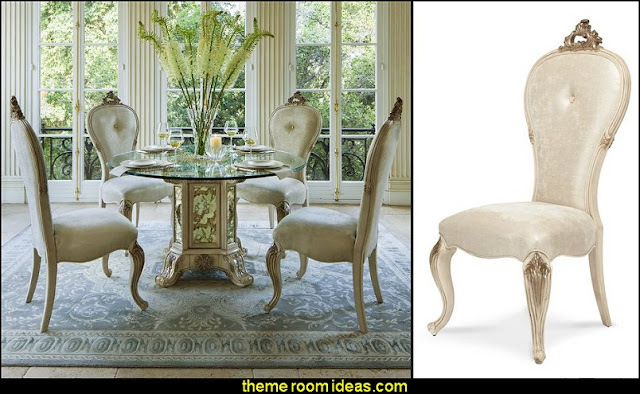 elegantly upholstered for boudoir or bath in tone-on-tone cream. 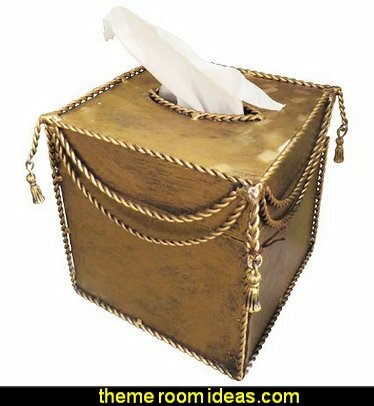 Always right where you need it, this 18th-century French antique replica is crafted from intricately hand-carved wood finished in faux gold leaf. 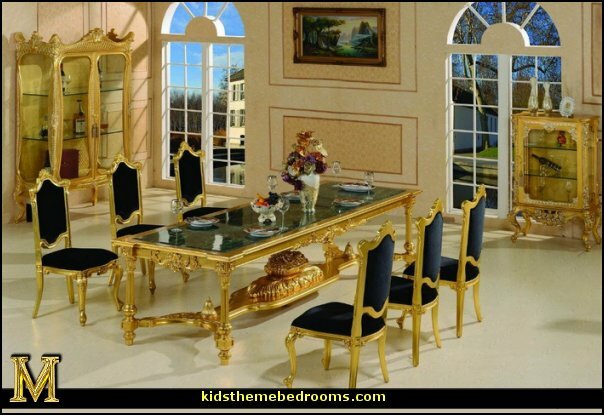 A trio of gilded gold and faux ebony cherubs rings a cabbage-rose center finial in this breathtaking replica work of French furniture art sure to be the centerpiece of your home! 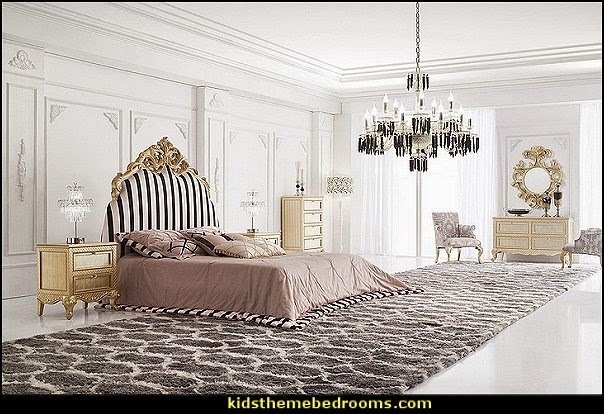 Our quality designer resin Toscano exclusive with detailed accents draws upon Louis XIV originals and is exquisitely displayed beneath a 30"dia., 1/3" thick, beveled glass top measuring a yard wide. 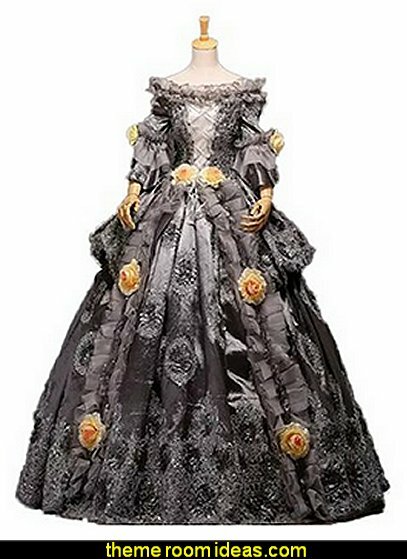 French queen Marie Antoinette, whose marriage at fifteen made her queen of France before she was twenty, died under the blade of the guillotine in 1793. 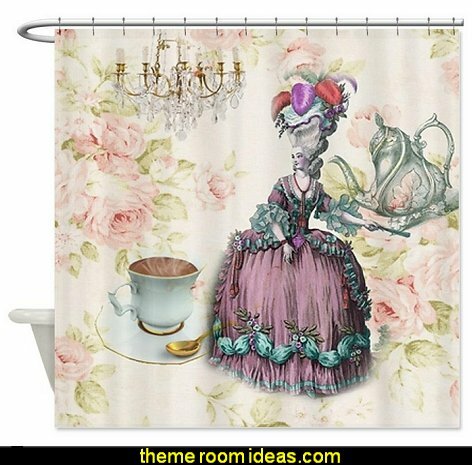 She has been romanticized as the martyred queen, admired eighteenth-century French royal style, and vilified as the Austrian whose frivolous extravagance and foreign sympathies fired the French Revolution. 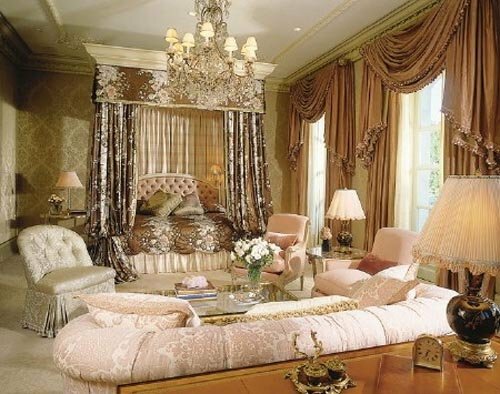 These opulent bedrooms are steeped in luxury .... wrapped in gold embossed designs, mixed with shimmering fabrics, regal damasks, and subtly layered into a serene composition that begs to be touched and enjoyed. 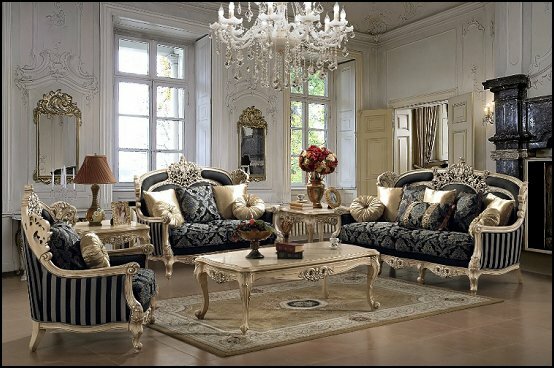 Old World glamor is mixed with classic French and European design. 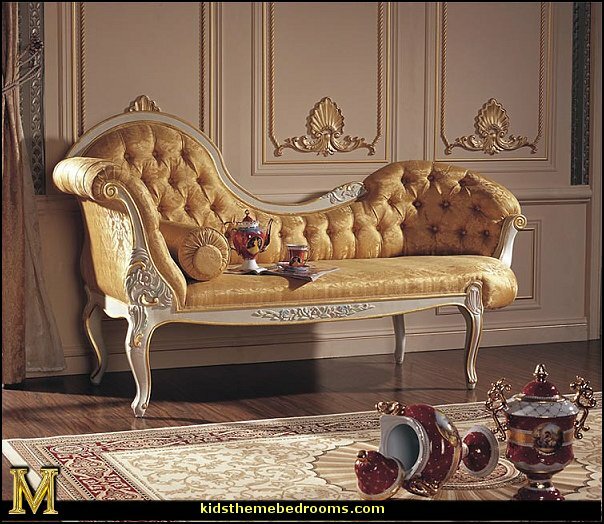 With elegant curves and button tufting, reflects the luxurious design and craftsmanship of the Louis XV period. 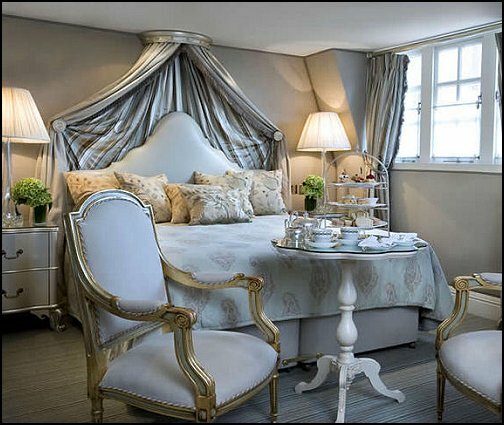 Luxurious yet relaxed, blends Hollywood high style, with classic 18th-century French style, mix of textures using fabrics and furniture to bring the room to life. 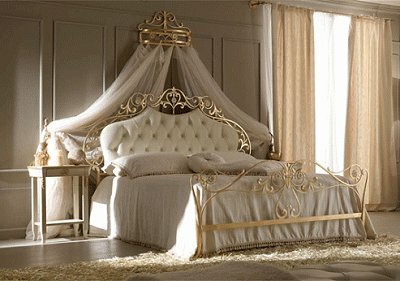 Bed crown decorative accents, add a regal touch to the royal chamber. 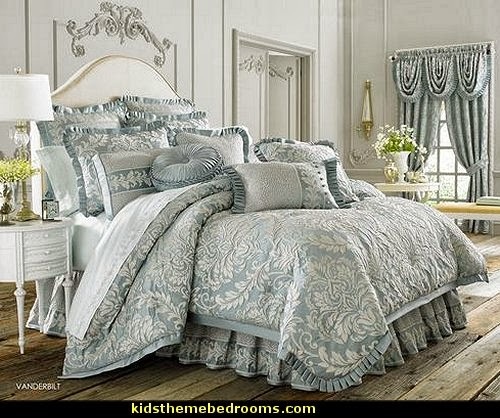 Transform your own master or guest bedroom into the ultimate retreat. 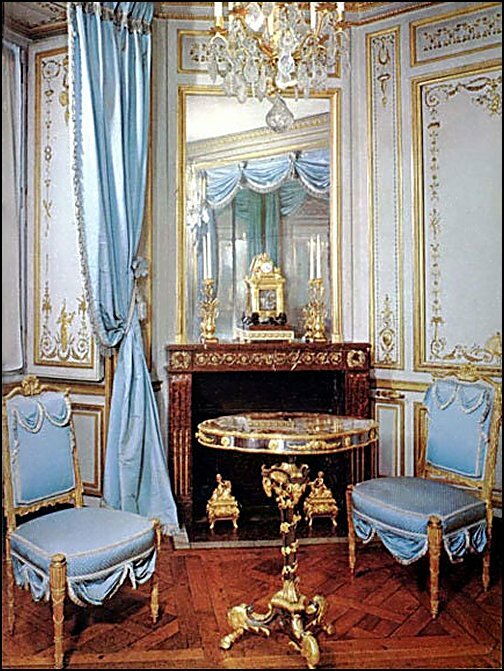 Characteristics of french provincial design-eighteenth-century furniture, sumptuous textiles, sensuous velvets, toile, silk taffeta curtains, deep bullion trim, distinctive porcelains, and oil paintings displayed in carved gold frames. 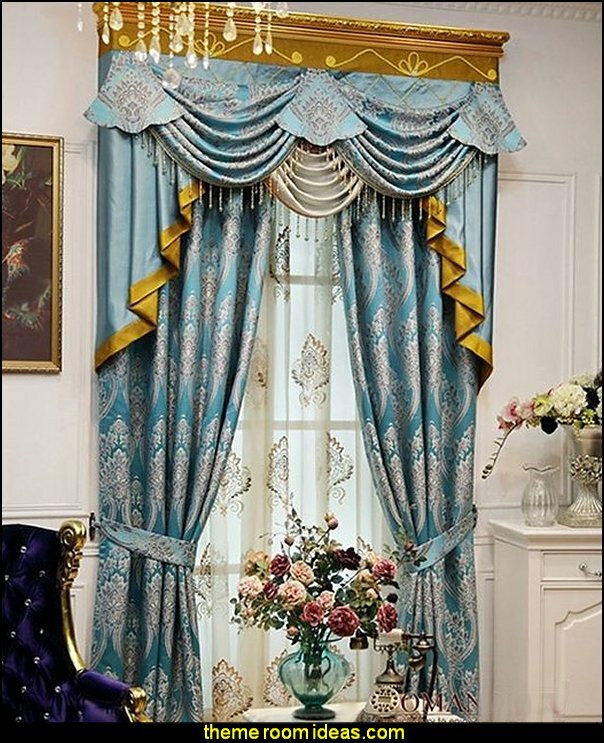 This design looks like it was ripped straight out of a designer's magazine. 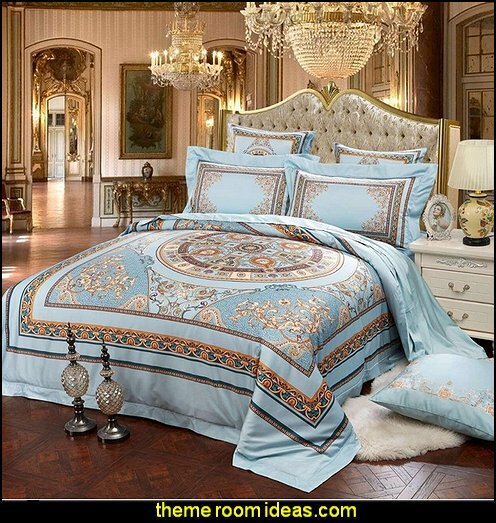 Perfect combination of the right color and pattern to exude tranquility, comfort and style all at the same time. 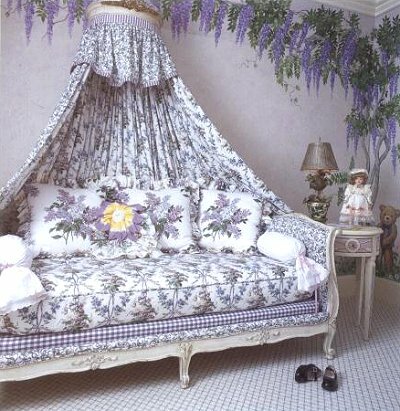 Beautiful book for anyone interest in Marie Antoinette, Rococo furniture design, palatial luxury of the queen’s Versailles, or even the fashion of the time. 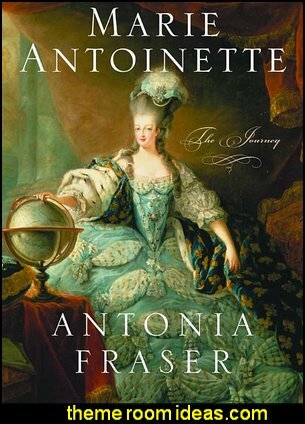 Beautifully illustrated, and filled with detailed photos of portraits, artwork and locations from the Queen's life in France. A vivid glimpse into the sumptuous life of France's most famous queen. Never has a queen been so passionately admired and adulated, then hunted, vilified, and defamed. 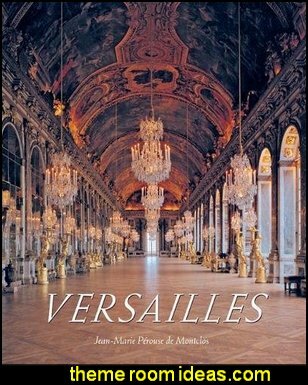 This is a look inside Versailles in the 18th century, a look at the daily life of its inhabitants, the extreme care taken with court etiquette, the intrigues and backbiting as well as the stunningly rich life of the King (Louis XVI) and his wife Marie Antoinette. 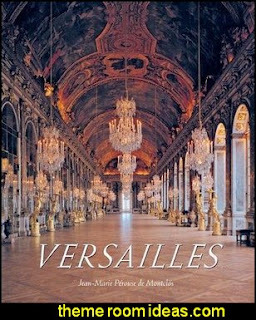 This beautiful book captures the unique and ever-lasting magic of Versailles. Loaded with not just glorious glossy full page pictures, but a lot of interesting facts and history too! 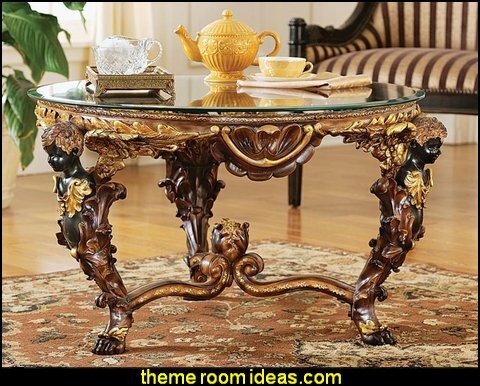 Handcarved solid mahogany 18th century antique replica. 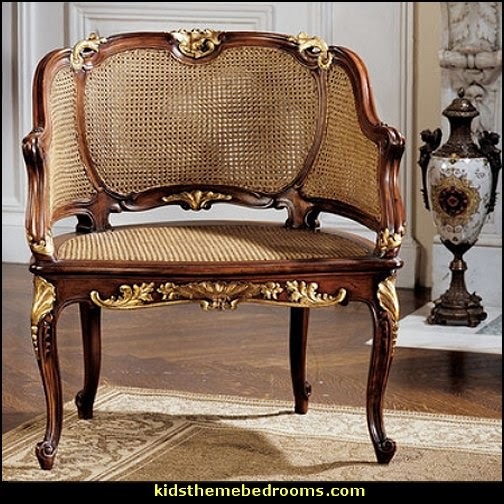 In the true Rococo style of Louis XV, deeply handcarved roses and leaves play across the frame of rich solid mahogany that holds an expanse of double caned rattan in this oh-so-French chair. 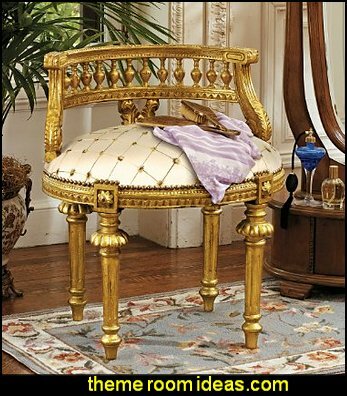 Just like one you’d see in any fine 18th century Parisian home, our exclusive is accented with gold gilt to bring out the depth of the carvings and blend with your other antiques. 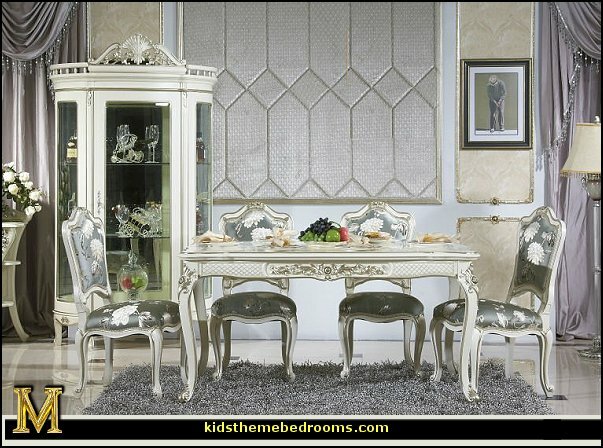 A functional work of furniture art, it brings authentic French style and sophistication to any room. 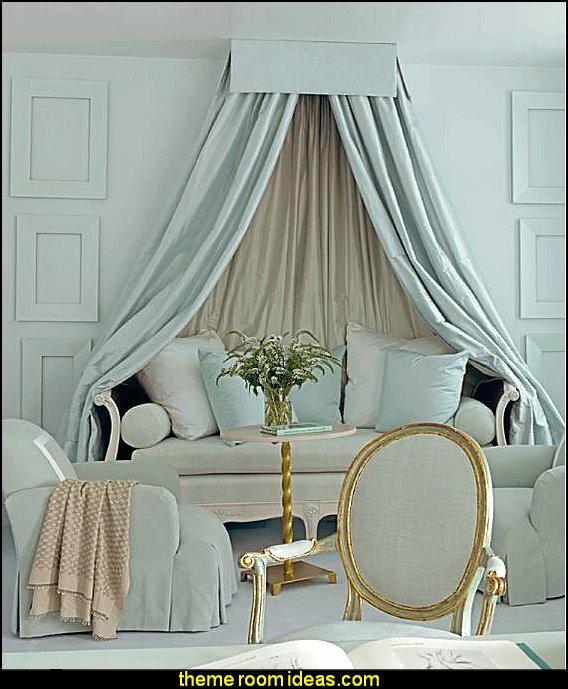 If you visit a fine 18th century Parisian home, you’d expect to see classic and oh-so-stylish rattan settee adding period charm. 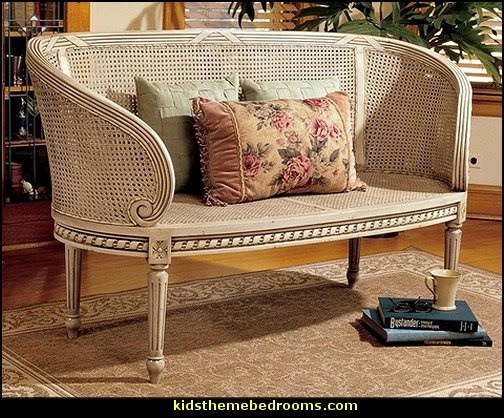 Hand painted and double-caned atop a solid, carved mahogany frame, our antique replica, virtually indistinguishable from an original, easily seats two. A functional work of furniture art, it is at home in the parlor, bedroom or sunny garden room to add authentic French style. 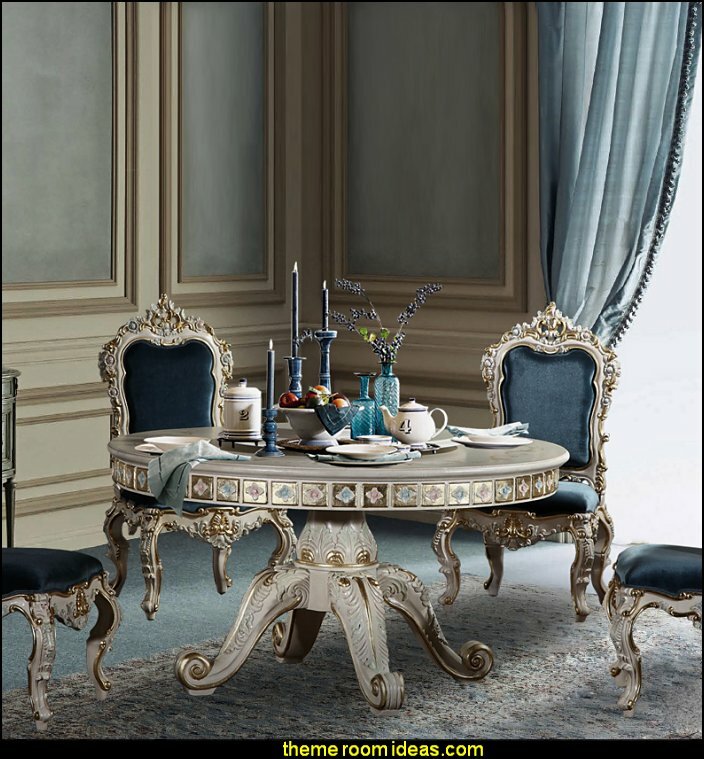 The Quality Brand - George Versailles®: The art of Italian and French style furniture from George Versailles Furniture Lighting Design The in-house production includes traditional style Furniture (e.g. 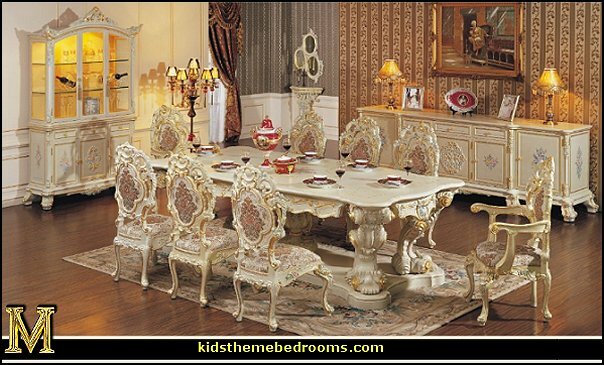 Baroque, Rococo, Louis XV, Louis XVI, Empire, Liberty, Art-deco, and Modern) using first class solid wood. 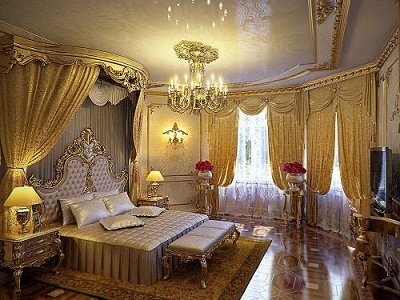 It's more like a traditional, luxurious type of of bedroom design. 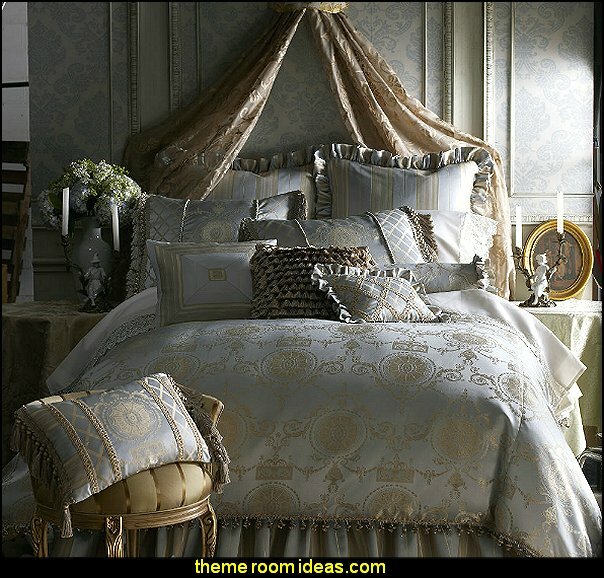 I always look at a lifestyle magazine Singapore because I want to know about modern bedroom designs. 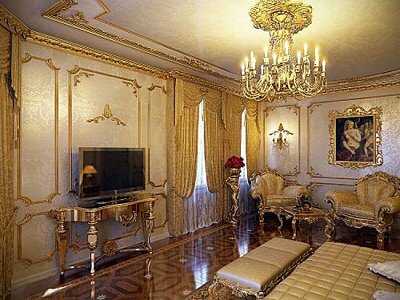 It is good, but I prefer a modern approach rather than using more traditional designing and furniture.